Carter’s science project on the element, Tin (Sn). This entry was posted in Food Glorious Food, Little Feet, Simple Sunday and tagged Children, Food, Kids, Parenting, Pizza, Science Projects, Tin. Bookmark the permalink. 2 Responses to Simple Sunday – Tin Pizza? 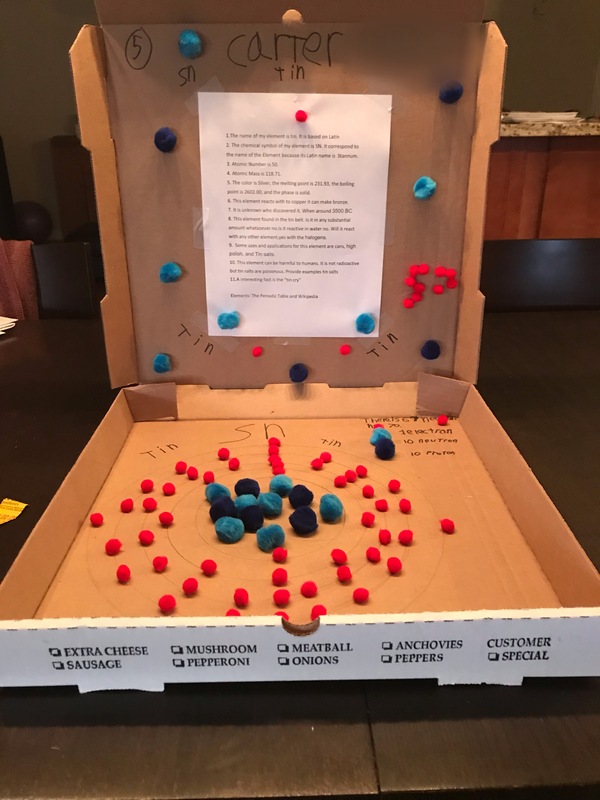 What a great way to display a project, a pizza box – love it! Looks like pepperoni, olives and…tin!